NKVD (Russian: Narodnyi komissariat vnutrennikh del; Ukrainian: NKVS, or Narodnyi komisariiat vnutrishnikh sprav [People's Commissariat for Internal Affairs]). A ministry of the Soviet government responsible for security and law enforcement that was set up on 7 November 1917 and reorganized as the MVD on 19 March 1946. 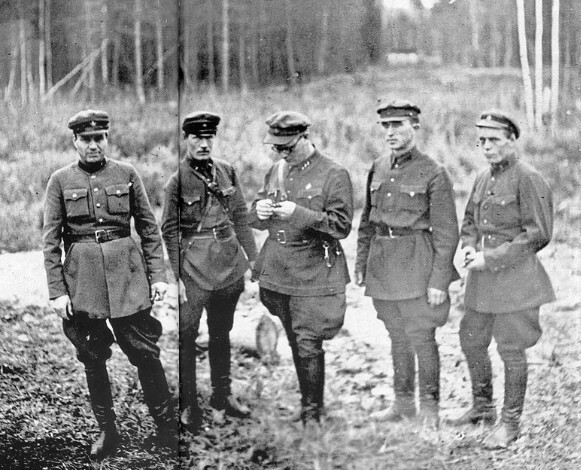 During its history the NKVD underwent numerous organizational and functional changes: sometimes, as in 1922–3, 1934–41, and 1941–3, it encompassed not only the secret political police and foreign intelligence but also the regular police force, the border guards, and the prison system. At other times, as in 1917–22, 1923–34, 1941, and 1943–6, it was divided into two separate agencies, one responsible for state security and the other for law enforcement. These changes were due to political rather than administrative factors. The NKVD's notoriety as an instrument of terror belongs to the periods when the state security apparatus came under its jurisdiction (July 1934 to April 1943, except for February–July 1941). At first the Cheka and the NKVD were independent and often competing institutions. When F. Dzerzhinsky, the founder and chief of the Cheka, replaced Hryhorii Petrovsky as head of the NKVD, in March 1919, the institutional friction between the two agencies subsided. Petrovsky's predecessor was A. Rykov, who headed the NKVD only briefly, in 1917. The new permanent state security organ, the GPU, which replaced the ad hoc and temporary Cheka in February 1922, came under the NKVD. The Unified State Political Administration (OGPU), which succeeded the GPU in November 1923, was separated from the NKVD until July 1934, when it was renamed the Main Administration of State Security (GUGB) and subordinated to the NKVD. Republican commissariats of internal affairs had been abolished in 1930. After F. Dzerzhinsky's death (1926) the NKVD was headed by V. Menzhinsky until May 1934. The unified NKVD (1934–41) consisted of numerous main administrations and departments of Union, republic, and lower levels. The main administrations were state security (Main Administration of State Security), the corrective slave-labor camps (GULAG), the border and internal troops (GUPVO), the worker-peasant militia, and the fire service (GUPO), all of which were established in July 1934. Later the main administrations of state surveying and cartography, highways, and weights and measures were added to the NKVD. The commissariat also had an administrative-economic administration, a department of acts of civil status, and a department of colonization. It is evident from its structure that the NKVD was much more than an organ of state security. In fact in the 1930s and 1940s its economic role was most conspicuous. Because it ran a vast network of labor camps, prisons, and other economic enterprises, the NKVD has been called the USSR's largest employer. Its labor reserves were used in numerous large-scale construction projects, lumbering, and gold mining, and its contribution to the Soviet economy was factored into the five-year plans. In the 1930s the Main Administration of State Security (GUGB) constituted the central agency of the NKVD. The GUGB was subdivided into six major departments: special, economic, operative, foreign, transport, and political. The first kept the military under surveillance and was a key source of information on anti-Soviet groups. The economic department was responsible for combating economic sabotage in industry and agriculture. The operative department guarded the top leaders, including Joseph Stalin, and key installations. Foreign espionage and the use of terror abroad came under the foreign department. The transport department protected the transportation network and important shipments in transit. Finally, the political department dealt with political opposition groups and oversaw all organizations. Besides these departments, the GUGB included some technical sections. The consolidated NKVD was directed by G. Yagoda (July 1934 to September 1936), N. Yezhov (to December 1938) (see Yezhov terror), and L. Beria (to February 1941, and July 1941 to April 1943). The NKVD played the dominant role in the terror of the 1930s, in which it carried out countless arrests, interrogations, and executions. Its special boards were empowered to sentence people for up to five years' imprisonment without judicial process. The secret police became the primary pillar of Stalin's personal dictatorship: it was deployed not only against the general population and the intelligentsia, but also against the Party, the military, and the government. The Communist Party of Ukraine and Ukrainian government leaders, who had shown a reluctance to extend the purge, were decimated by arrests and executions in 1937–8. From September 1937 the republic was virtually governed by the NKVD. The NKVD played a central role in the show trials of old Bolsheviks, such as N. Bukharin, L. Kamenev, and Grigorii Zinovev, and in Leon Trotsky's assassination. 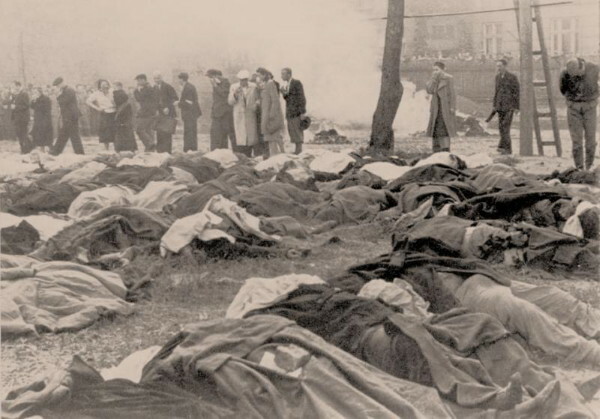 It was responsible for the massacre of over 9,000 people in Vinnytsia in 1937–8 (see Vinnytsia massacre) and of some 4,000 Polish officers in Katyn Forest in 1940. Ironically, Stalin turned the NKVD upon itself: its last three chiefs along with thousands of their followers were destroyed in the great terror of the late 1930s or in the succession struggle after Stalin's death. 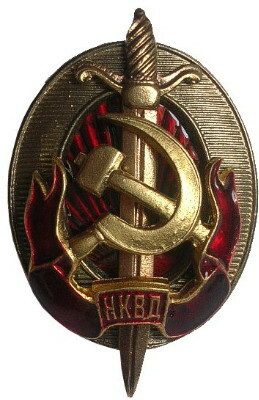 During the Second World War the NKVD and the People's Commissariat of State Security (NKGB) were involved separately in various phases of state security. They provided military assistance to the armed forces, organized Soviet partisans (see Soviet partisans in Ukraine, 1941–5), and engaged in intelligence and counterintelligence activities. At the start of the German offensive in 1941, they brutally executed thousands of political prisoners held in their prisons in Western Ukraine. After the war they administered mass deportations of Ukrainians, Balts, and other non-Russians from the newly annexed territories and suppressed anti-Soviet underground organizations and the Ukrainian Insurgent Army. In January 1946 L. Beria was replaced by S. Kruglov as head of the NKVD, and in March the NKVD was renamed the MVD. The general substitution of ‘ministry’ for ‘commissariat’ was meant to de-emphasize the revolutionary character of the Soviet government. A referral to this page is found in 71 entries.